Conservation Status: Considered stable through much of their range. Hunting has lowered their numbers. 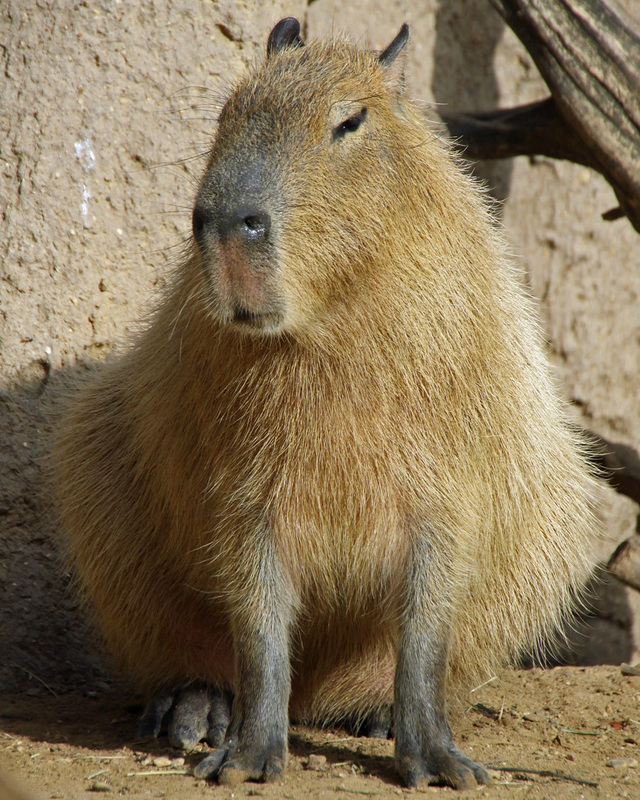 Capybaras are excellent swimmers and can remain underwater for as long as 5 minutes. The young are born with teeth, full coats of hair, open eyes, and are able to follow their parents and swim less than 1 hour after birth.